A nice change from BBQ chicken on the grill is to switch to an Oriental theme. 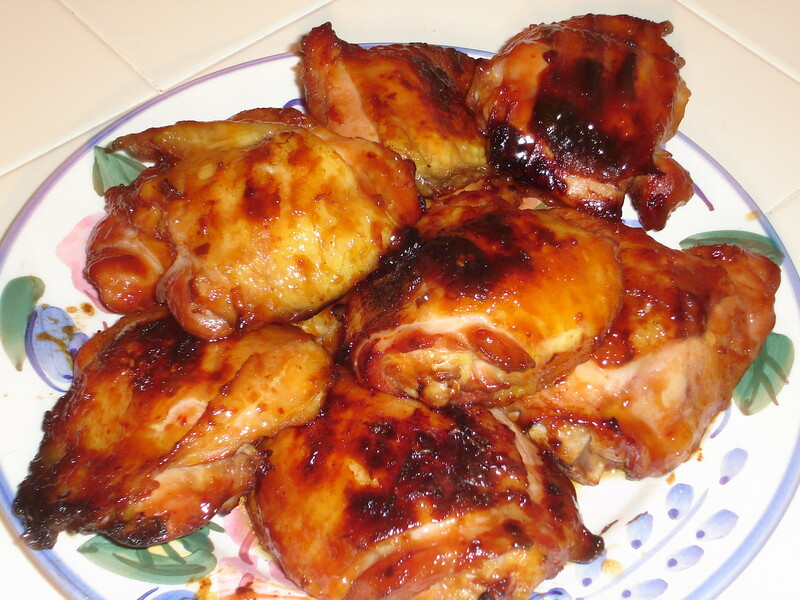 One way to do this is to prepare Sesame Ginger Chicken Thighs. Start by marinating skin on, bone in, chicken thighs with Lawry’s Sesame Ginger marinade, along with some diced green onions to provide a taste, as well as color contrast. Let them marinate for several hours in the refrigerator before grilling. When it’s time to grill, set the grill up for indirect,high heat by pushing the coals to one side and placing a drip pan on the other side. Clean and oil the grill grate and use the 3 second technique for determining when the grill is ready. 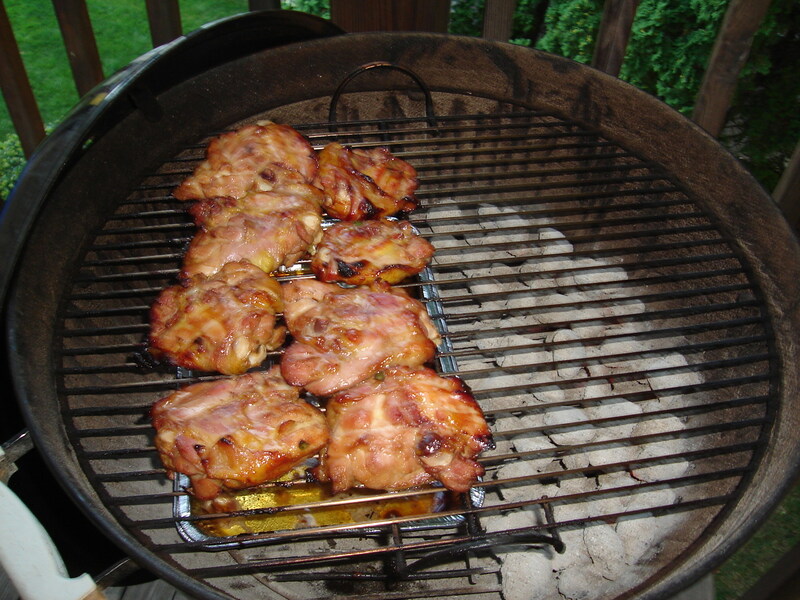 Next, place the chicken thighs skin side up on the grill over the drip pan and grill covered for 17 minutes. Starting skin side up allows the skin to tighten up and lock in the flavor. 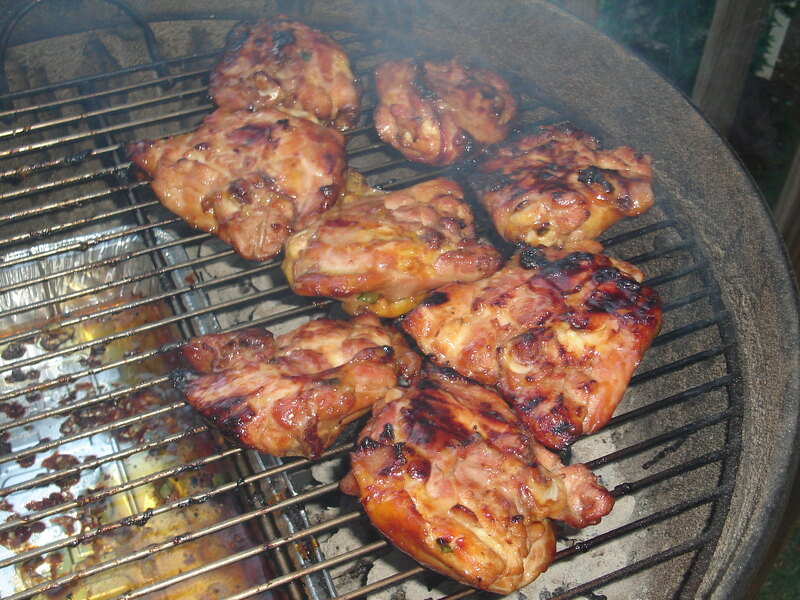 After 17 minutes, flip the thighs and continue cooking covered for another 17 minutes over the drip pan. At this point you can add some char and crisp up the skin by cooking for an additional 2 minutes covered on each side over direct heat. When finished grilling, remove the chicken and baste with Kikkoman‘s Toasted Sesame marinade to add an additional layer of flavor. 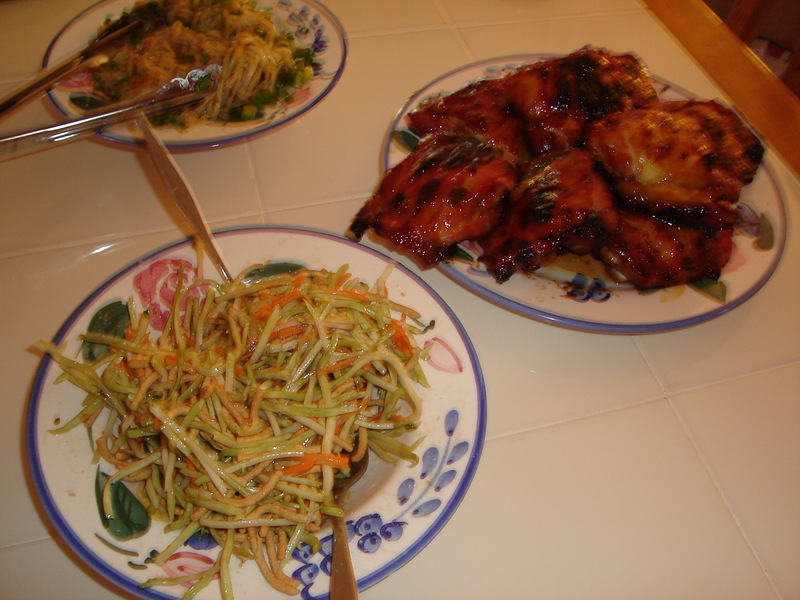 A suggestion for sides would be Asian slaw and Peanut Noodles with Snow Peas. This will round out the meal and prove to everyone that you are the Master of the Grill !